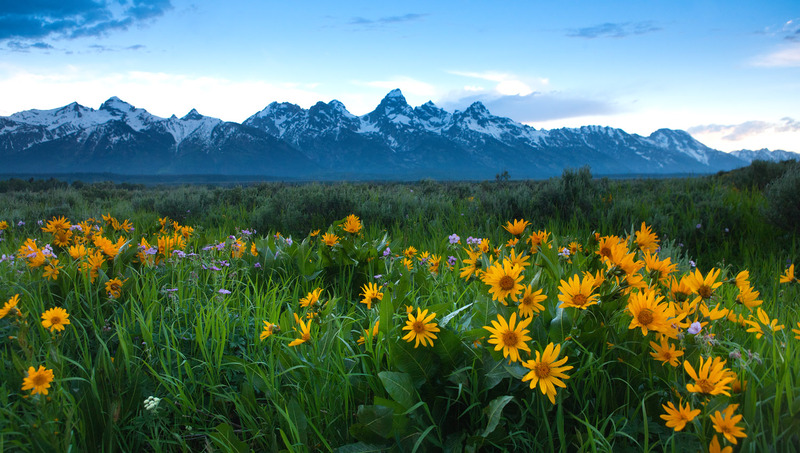 Record snows were late to recede leaving snow-capped mountains, vibrant flowers, and late awakening bears. 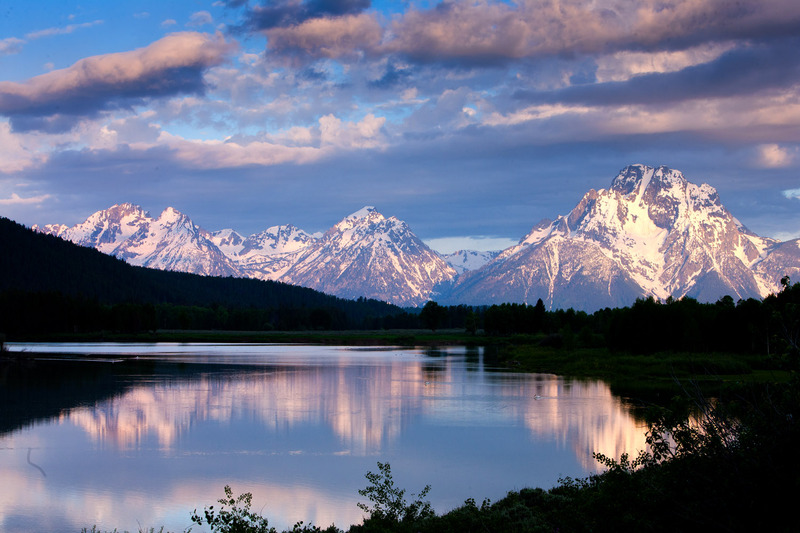 Included among some traditional locations are images captured in a variety of less visited areas that contribute so much to the beauty that is Tetons National Park. A field flowers of along Antelope Flats lean toward the rising sun. . Photo © copyright by Ed Fuhr. 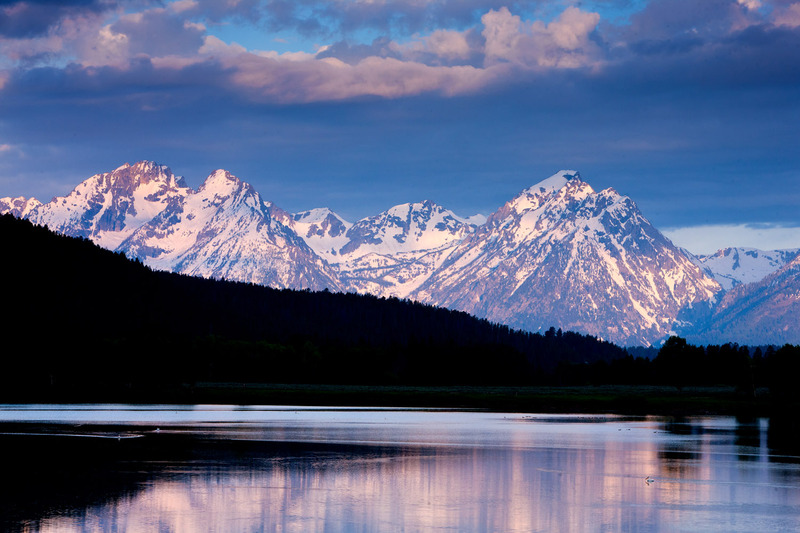 Dawn's light bathes Oxbow Bend and the Teton range in a sea of pastel blues and purples. . Photo © copyright by Ed Fuhr. 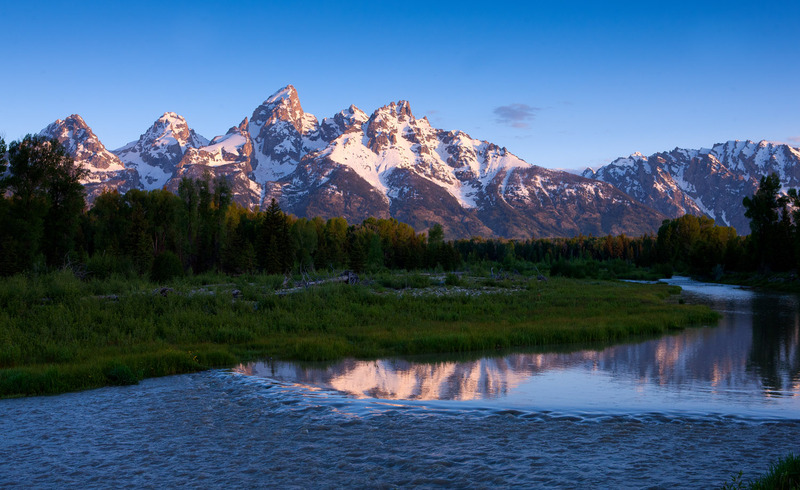 Dawn's first rays light the peak of Mount Moran and the Teton Range above Oxbow Bend. . Photo © copyright by Ed Fuhr. 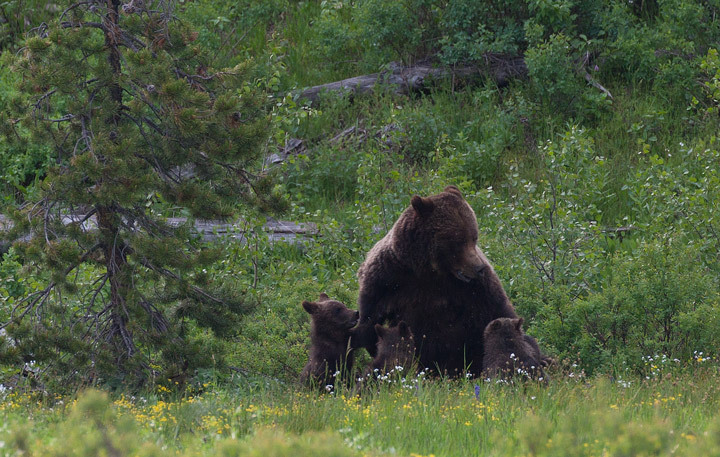 The Teton's mot famous grizzly, 399, takes a few minutes to nurse her 3 cubs. Photo © copyright by Ed Fuhr. 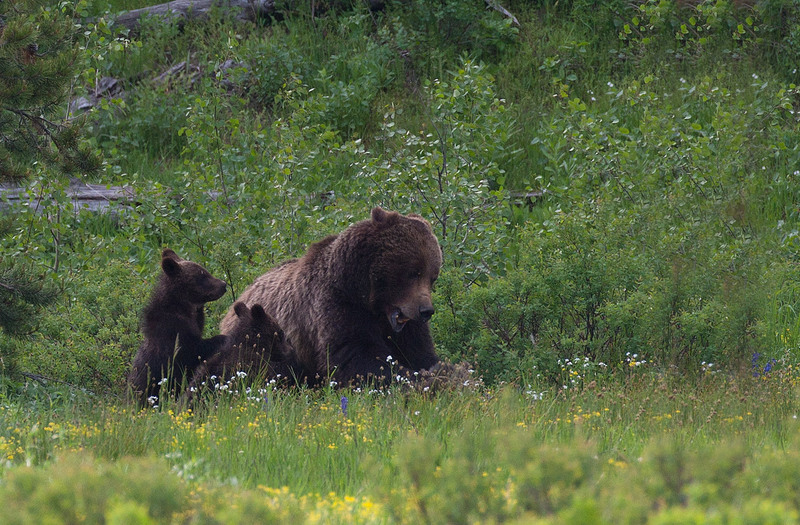 Grizzly Bear 399 responds quickly when one of her nursing cubs is a bit too rough. Photo © copyright by Ed Fuhr. 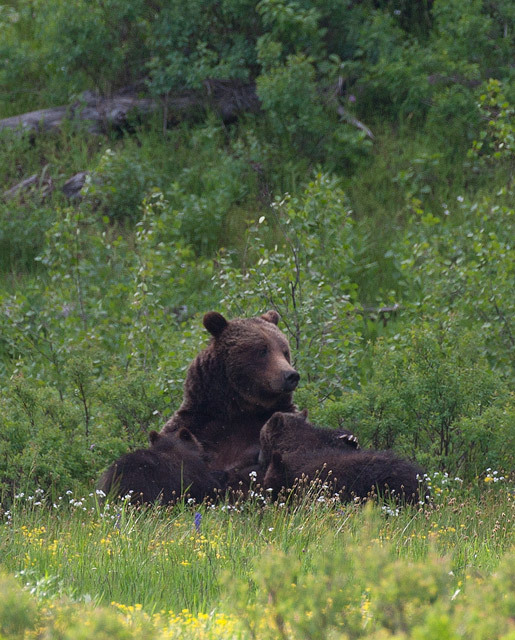 399 gives an old fashioned smackdown to one of her cubs that was too rough nursing. Photo © copyright by Ed Fuhr. 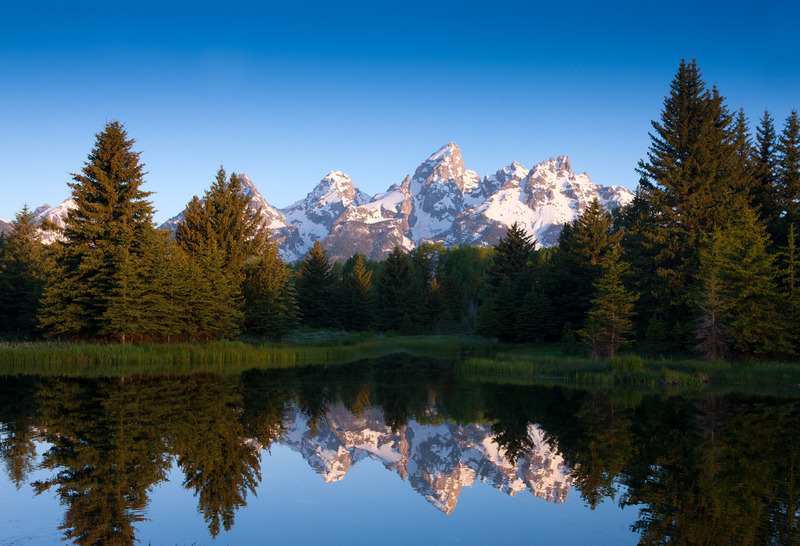 Few places are more magical to watch sunrise than the beaver ponds at Schwabacher's Landing. Winter's deep snows provide a powerful backdrop even in late June. Photo © copyright by Ed Fuhr. A magical June sunrise downstream from the beaver ponds at Schwabacher's Landing. Photo © copyright by Ed Fuhr. 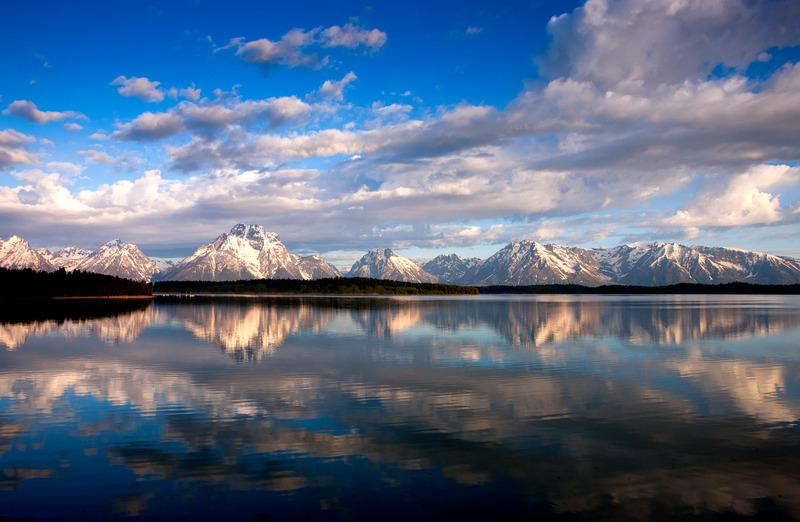 Mount Moran and the snow-capped Teton range reflect in Jackson Lake. Photo © copyright by Ed Fuhr. 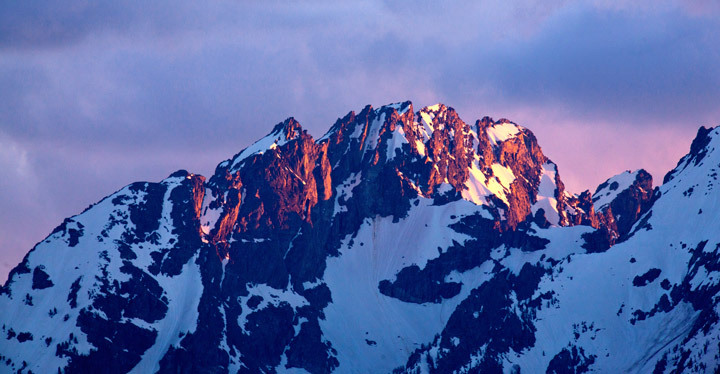 The last rays of light strike the Tetons. Photo © copyright by Ed Fuhr. 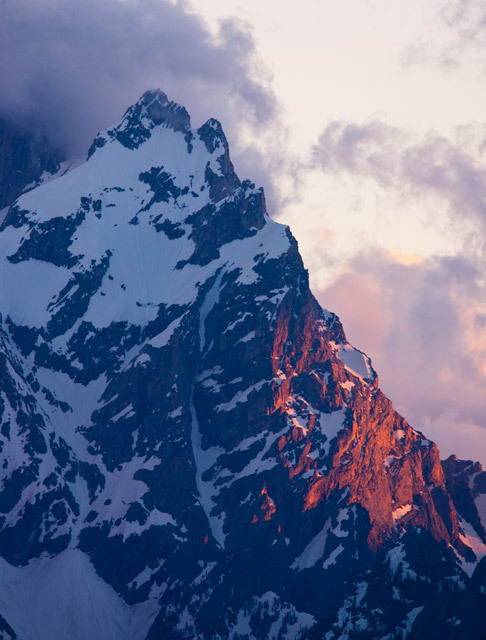 Sundown on the Tetons. Photo © copyright by Ed Fuhr.